The BTO's BirdTrends report is a one-stop shop for information about the population status of the common breeding birds of the wider UK countryside. The report is based on data gathered by the many thousands of volunteers who contribute to BTO-led surveys. Alerts, drawing attention to population declines of greater than 25%, or greater than 50%, that have occurred over the the most recent five-, ten- and 25-year assessment periods and the maximum period available (usually 46 years). Text, tables, graphs and presentation for each species are updated annually to include the latest results alongside interpretative material from the literature. Information on demographic trends and on the causes of change is gradually being expanded. There is far more to this report besides the species pages! Supporting pages describe the field and analytical methods that were used to produce the results for each species and to identify alerts. We discuss overall patterns of trends in abundance and breeding success, and compare the latest trend information and alerts with the Birds of Conservation Concern list, newly updated in 2015 (Eaton et al. 2015). Summary tables list alerts and population changes by scheme, and you can use our 'table generator' to select and display tables of population change to your own specification. 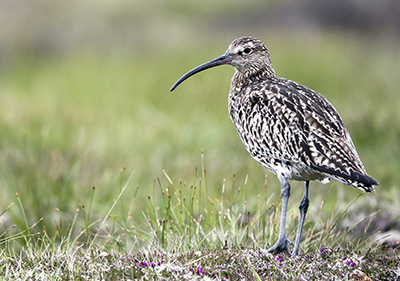 A detailed References section lists more than 820 of the most relevant recent publications, with onward links to abstracts or to full text where freely available, and is a valuable key to recent scientific work by BTO and other researchers.The Key findings page provides a brief overview of our main findings this year.